With Toshiba you'll get more than meets the eye. It includes Dynamic Picture Mode, offering enhanced color saturation and sharpness for a vivid picture right out of the box; advanced picture settings tailored for movies and games; and an energy-saving Auto Brightness Sensor to change brightness based on room lighting. Gaming Mode reduces frame delays between the display and controller and provides a timer that lets you set playing limits. 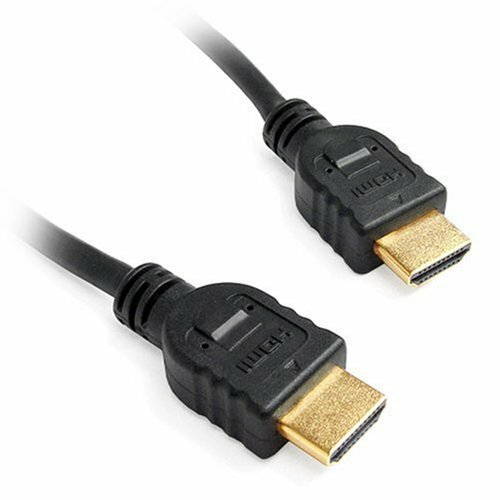 Amazon has the DVI Gear HDMI Cable 2M 6 feet on sale for only $2.79 (reg. $9.99) with FREE shipping! Onkyo LS-T10 6.1-Channel 3D Surround Base System 这个是安桥的放在电视下面的环绕立体声系统，review非常的好， 原价400刀， 现在打折$159.99 with free shipping. Built-in Bluetooth audio streaming capability,Dolby Digital capability. Preset TV Remote Commands for Most Popular Brands and 3 pre-programmed sound modes: Movie, Music, & News. Amazon 三星的LED 高清 smart TV Samsung 55-Inch 4K Ultra HD Smart LED TV， 现在降价 for Only $719.99 (reg. $1299.99)。Plus free shipping。This item is eligible for FREE Tech Support for 60 days from the date of delivery. Walmart.com 现在这种带壁炉的电视架， Barston Fireplace TV Stand 降价后 for just $279 (regularly $329). This Fireplace TV Stand comes in 4 different color options and can accommodate flat screen TVs up to 70 inches and 135 lbs! The heat to the fireplace has a 20-degree temperature range and four flame level settings, including no flame. It also has a remote control feature making it easy to operate the fireplace! Please note that there is a $19.99 shipping surcharge on this item due to it’s weight. OR you can select for free in-store pickup. 如果你家的家庭影院想要做到大影院的效果，可以看看这种家庭用的投影仪。 Amazon.com 上 this highly rated BenQ HD 1080 Home Theater Projector 降价后 for only $639 shipped (regularly $1,199). This projector offers a 1080p full HD optimized optical system and 6x Speed Color Wheel to deliver vivid and lifelike colors from Blu-ray and video games to live broadcasts. BestBuy.com now you can buy this Samsung 55″ LED 2160p Smart 4K Ultra HD TV for only $499.99 shipped (regularly $799.99). This Samsung LED smart television features built-in Wi-Fi that allows you to share pictures from devices with the whole family, or stream content from apps like Netflix and more! 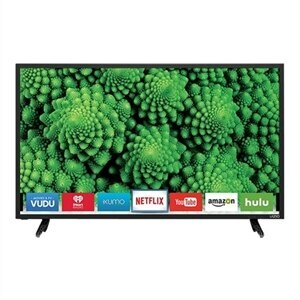 Walmart.com now they have dropped the price on this highly rated Vizio 60″ LED HD TV to only $398 shipped (regularly $598). This TV is equipped with an LED backlight that distributes LEDs behind the screen for superior picture performance. Walmart.com now they are offering up this Samsung 40″ 1080p 60Hz LED HDTV for just $149 shipped (regularly $599)! Place the TV in your cart to see the reduced price – no promo code needed! 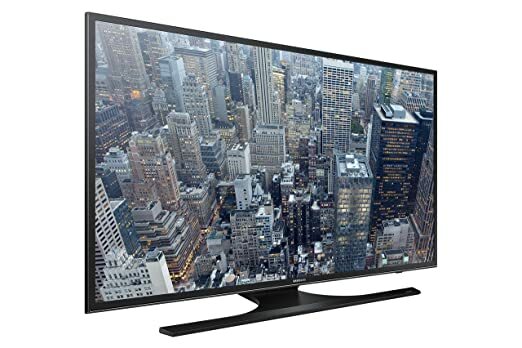 This Samsung HDTV has twice the resolution of standard HD TV, comes equipped with 2 HDMI ports and 20-watt stereo sound and can be mounted on the wall! 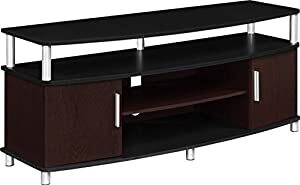 Amazon.com now you can buy this Ameriwood Home Carson TV Stand for just $47.07 shipped. This TV Stand accommodates up to a 50” flat screen TV and offers great gaming storage for X-Box and PlayStation as all gaming gear can be hidden nicely in the closed cabinets. Dell.com now you can buy this Vizio 32″ LED Smart TV for just $199.98 shipped. 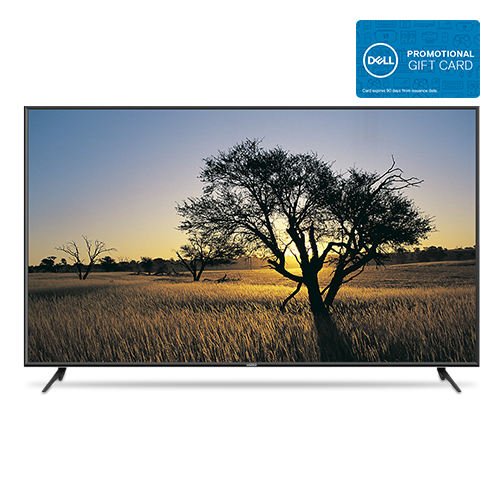 Even better, when you purchase this TV, you’ll get a $100 Dell Promo eGift Card sent via email in 10-20 days (expires 90 days after it is issued). To make sure you are getting your $100 Dell Promo eGift Card, click on the ‘Show Savings’ button when you are in your cart. You should see the offer there. Walmart.com has 55" Sceptre U550CV-U 4K Ultra HD LED HDTV on sale for $309.99. Shipping is free, otherwise you may select free store pickup. Today only, BestBuy.com now get this Logitech Harmony Ultimate One 15-Device Universal Remote in Black for just $79.99 shipped (regularly $249.99)! Control up to 15 entertainment devices with this handy remote! It features a 2.4″ color touch screen so you can change channels, adjust the volume or control playback just by swiping or tapping your finger! It also comes with a charging station and rechargeable battery. Walmart where you can get this Better Homes and Gardens Oxford Square TV Console for just $99 shipped (regularly $139). This Console is designed for most flat-panel TV’s up to 60″ and 135 lbs, and features adjustable shelves and tempered glass cabinet doors. Walmart.com now you can get this Mainstays 3-Cube Entertainment Center now is on sale for just $12.47 (regularly $24.99) after you select for free in-store pick up at checkout! 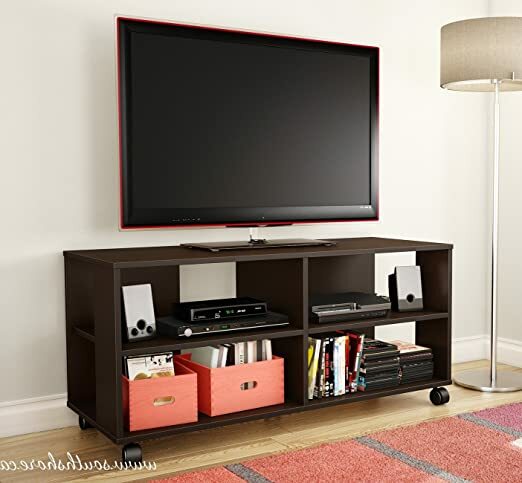 This entertainment center fits LCD or Plasma TVs up to 40″ and 80lbs and doesn’t require any tools for assembly! Amazon now get this TCL 40-Inch 1080p Roku Smart LED TV for just $212.49 shipped! This 40-inch Roku TV has built-in dual band WiFi so streaming any of Roku’s 4,000 channels is fast and easy. It has three HDMI inputs or you can cast content from your smartphone or tablet with the free mobile app. Today, November 19th only, Target is offering up an EXTRA 15% off all TVs – both in-stores and online (excludes LG OLED)! No promo code is needed, the discount will be automatically applied at checkout. 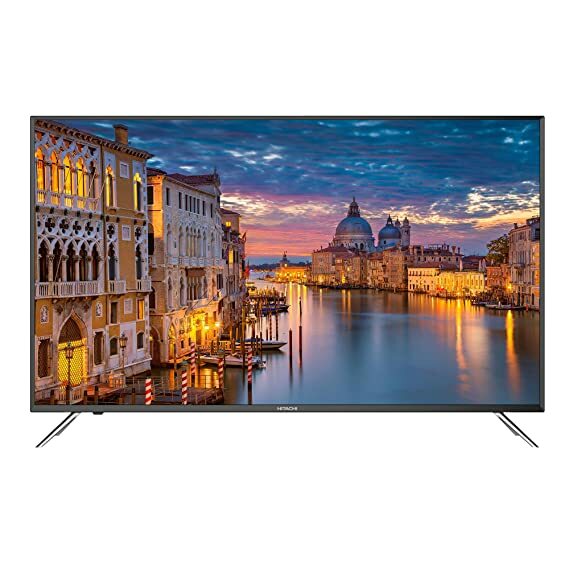 Samsung Curved Smart 4K UHD TV 65 inch $999.99 (regularly $1,499.99), Minus the 15% off instant discount at checkout, Pay $857.49 + $20 handling fee, Get a $50 Target Gift Card. Final cost $827.49 shipped! 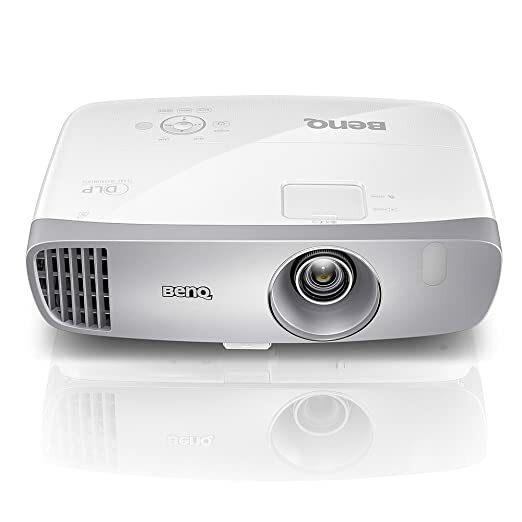 On Walmart.com you can now buy this DR.J 4″ Mini Projector for just $79.99 shipped! This mini projector has been upgraded from 1500 to 1800 lumens and increased contrast to 2000:1 making it brighter and more clear than the previous version. It has a five layer LCD lens and uses diffuse reflection technology to reduce eye fatigue. This full HD projector has a 40,000 hour LED light and is compatible with your Amazon Fire Stick, smartphone or tablet. You can also connect to it via USB, HDMI, VGA or SD card. It will display on screens from 32″ up to 170″. On Amazon.com you can now buy this best-selling Logitech Harmony Smart Control for only $58 shipped (regularly $129.99). 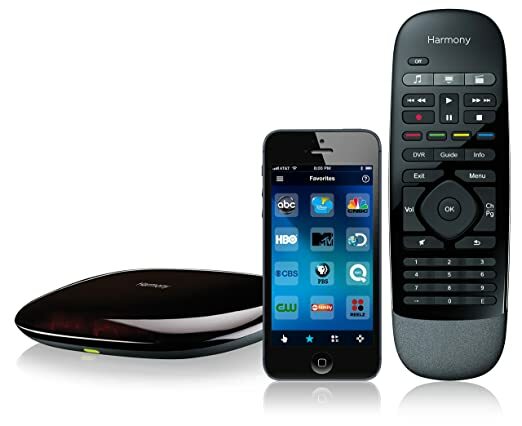 This Harmony Smart Control gives you one-touch control of your entertainment devices and gaming consoles using your smartphone or the included remote. It includes the Harmony Hub and works with Amazon Fire TV, cable boxes, Roku, PS3, Xbox One, and more. This TV features the new Smart TV user-interface and new Smart Remote Controller with voice navigation capability to provide faster access to streaming content choices. Easily find and play your favorite movies, TV shows, sports, music, and games with Samsung Smart Hub! On BestBuy.com now you can get this highly rated TCL 55″ LED 2160p Smart 4K Ultra HD Roku TV for just $369.99 shipped (regularly $449.99). Even sweeter, with the purchase of this TV, you’ll also receive Sling TV Live Streaming Service FREE for 30 Days! With Sling, you can live stream your favorite channels, or watch shows on demand right from your TV or mobile device. On Walmart.com you can now get this TV Wall Mount Kit with HDMI cable for just $22.85 (regularly $78) after you select for in-store pickup and get the $1.36 pickup discount. This kit allows you to mount a 19″ to 70″ TV to the wall with tilt and swivel capabilities. The durable aluminum alloy mounting kit can hold TVs up to 110 pounds and is easy to install and remove. The set also includes a six foot HDMI cable. For a limited time only, on BestBuy.com where you can get this Insignia 39″ LED Smart HDTV Roku TV for just $199.99 shipped (regularly $279.99) or choose free in-store pick up if available near you. 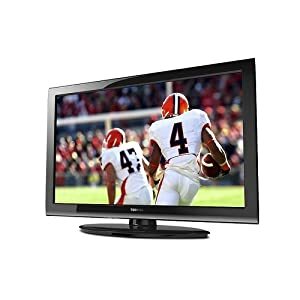 This Smart HDTV features Roku technology and offers fast connectivity for streaming your favorite movies, music and radio. You can easily connect to Netflix, HULU YouTube and more and there’s even a V-chip built in so you can easily block questionable and inappropriate content. You’ll also receive a FREE 30-day trial to the Sling TV Streaming Service. On Newegg.com you can now buy this Samsung 40-Inch 4K Ultra HD Smart LED TV for only $279.99 shipped (regularly $397.99). Experience all your movies in vivid detail with 4x the resolution of UHD, plus the Purcolor technology gives you a wider range of colors. If you’re looking for something bigger, you can also buy this Samsung 50-Inch 4K Ultra HD Smart TV with HDR Pro for just $429.99 shipped (regularly $749.99). With 4K HDR Pro, you can experience a wide range of color and contrast, letting you to clearly distinguish the transition from dark to light. On Walmart.com where you can now buy this 三星49寸高清电视 Samsung 49″ LED TV for just $247.99 shipped (regularly $549.99). This LED TV has two HDMI ports and built-in WIFI. Through March 17th, Target.com where you can save 10% off select TVs 43″ and larger when you select for free in-store pickup. Samsung 55″ Curved Smart UHD 4K 120 Motion Rate TV $669 (regularly $1199.99), select for free in-store pickup (10% off), Final cost $629.99! ON Walmart.com you can now buy this Hisense 55″ 4K Ultra HD Smart TV with HDR for just $299 shipped – that’s $120 savings off the regular price. This TV has four times more pixels than standard high-definition TV making for vivid colors, clean lines, and rich contrast. 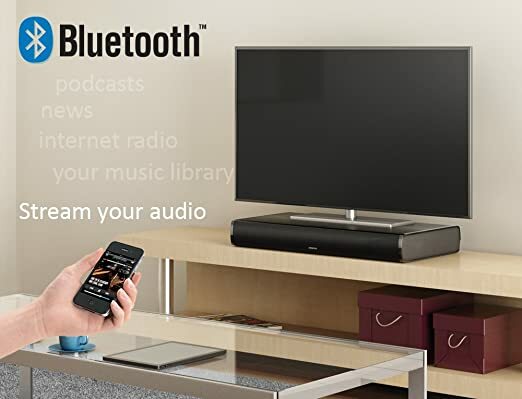 This series also features award-winning audio technology integrated from dbx-tv and comes with tons of built-in apps to personalize your entertainment. On BestBuy.com now they have dropped the price on this LG 43″ Class LED Smart 4K Ultra HD TV down to just $299.99 shipped (regularly $429.99). This HD TV allows you to access your favorite streaming apps and more via the LG Channel Plus app. It also features three HDMI inputs so you can connect your high-definition components. On Walmart.com you can now buy this VIZIO 50″ Class 4K Smart LED TV for just $309 shipped (regularly $498)! This Smart TV allows you to watch your favorite movies and shows in high quality brightness and color. Connect to your favorite apps through Vizio Internet Apps Plus to stream directly from your TV! In addition, this features 4 HDMI ports and 1 USB port. On Walmart.com you can now buy this Sceptre 50″ Class 1080P LED TV for just $209.99 shipped (regularly $349.99)! 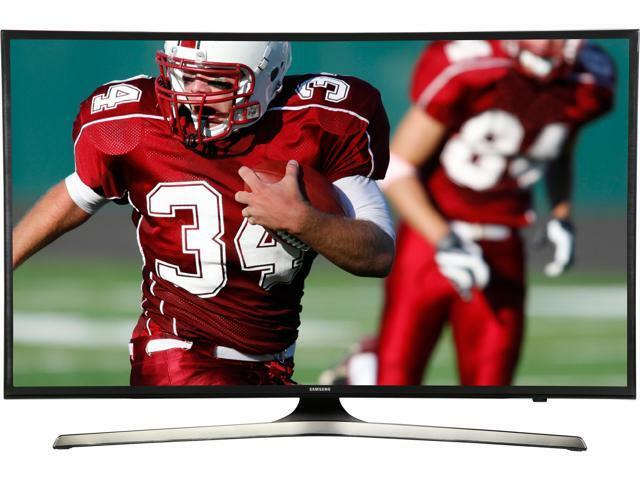 This lightweight LED TV features clear and crisp video and excellent sound. It’s a less expensive option than 4K and the reviews are great! On Walmart.com where you can now get this Hisense 49″ class 4K HDR Smart LED TV for only $219.99 shipped (regularly $349.99). This Hisense Smart TV has a whopping 8.3 million pixels to produce 4K resolution for more realistic images and a clearer picture, plus standard-resolution video is automatically converted to HD. This would be great to grab for your next Netflix binge! Today, July 9th only, go to Amazon where you can buy this Hitachi 50″ 4K Ultra HD LED TV for just $289.99 shipped (regularly $379.99). On BestBuy.com where they dropped the price on this Westinghouse 24″ LED TV down to just $69.99 shipped (regularly $119.99). 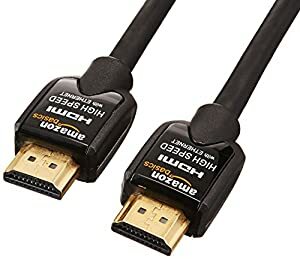 This HD TV has one HDMI input and one USB input so you can connect your high-definition components. 现在 on Dell.com they are having great deals on select Vizio 4K Smart TVs. Even better, these TVs include a Dell Promotional eGift Card. These eGift Cards will be mailed 10-20 days after your purchase and expire in 90 days. Today only, on BestBuy.com you can now get this Insignia 40″ LED 1080p HDTV for only $129.99 shipped (regularly $199)! 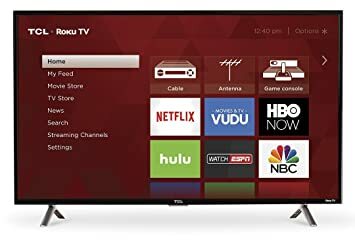 On BestBuy.com you can now get this Sharp 40″ Smart HDTV Roku TV for only $149.99 (regularly $249.99) with free shipping. This smart TV will complete your home theater setup. The 1080p resolution delivers clear, vibrant picture quality, and a built-in Roku streaming program makes it easy to watch your favorite programming across a wide range of apps.